With Readly you can read The Complete WhatsApp Manual Readly Exclusive and thousands of other magazines on your tablet and smartphone. Get access to all with just one subscription. New releases and back issues – all included. 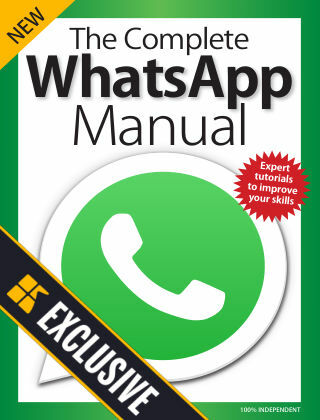 Unlock the full potential of WhatsApp. This hugely popular social media app is seemingly easy to use, practical, quick and secure. Though how much do you really know about WhatsApp and the features it has to offer? It’s completely free of charge and available for nearly every mobile; there are desktop versions for the PC and Mac too. With it you’re able to send images, videos, have free voice and video chats and even create groups with scores of friends and family members but that’s just the start. 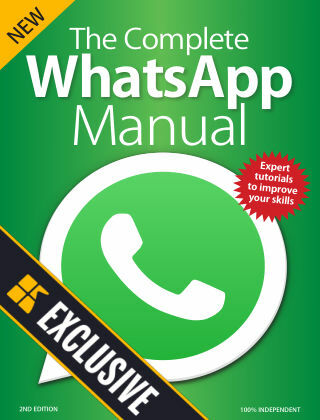 WhatsApp is the future of communication available here and now, so if you want to get to grips with this great app read on and we will show you how to master it and discover more than you ever imagined. 100% Independent.